The infamous Napa Valley is located in northern California, just outside of the San Francisco area. This picturesque region is known as the premier wine region in the United States among wine-loving travelers due to the number of famous vinyards that dot the area. While Napa Valley is known for both wine and tasty food, visitors will love the charming atmosphere and natural setting; making for a relaxing vacation destination. If you are planning on visiting this part of California, then you have a wide variety of airports to choose from. There are five airports within the vicinity of Napa Valley, of which, Napa County is the main functioning airport and closest (although, you may need to bring your own jet!). Located over 55 miles from the Napa Valley, http://www.flysfo.comSan Francisco International(SFO) is about an hour and half long drive (depending on traffic). The airport is known for its cleanliness and ease of use. It’s also a popular international and domestic hub for flights from other major cities around the country. Located 60 miles from the Napa Valley region, the Sacramento Airport (SMF) serves as one of North California’s main airports. Sacramento saves you the hustle and bustle over San Francisco, allowing for easy navigation. Many lower cost carriers use Sacramento as an alternative to San Francisco. Oakland International (OAK) is just 30 minutes away from San Francisco and a 10 minute ride from downtown Oakland. Here, they offer a vast number of non-stop flights to some of your favorite destinations in Europe, North America, Mexico and Hawaii. And, they also have an on site shuttle service to take visitors from the airport to the city of Napa. The Skyport to Wine County,” that’s what they call the Napa County Airport (APC)! Though small physically, this airport still retains its reputation as Napa’s supreme stop for private and charter flights. Though Napa Valley is more of a car-free tourist zone, that doesn’t stop you from moving around to join in on all the city’s action. There is a variety of public transportation available, ranging from trains and buses, or why not hop onto a bike or just foot it?! The VINE public bus system is readily available to take you anywhere within Napa city and in between the main towns of Napa Valley. Their fixed route bus system provide transport services to areas such as the Napa Fairgrounds, shopping districts and more. 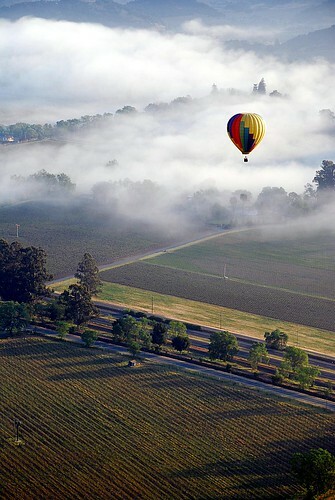 Ride your bike, explore wineries…and enjoy the fabulous scenery in Napa Valley! Napa Valley is renowned for its luscious vineyards. The state seeks to keep its wineries as healthy as possible and recommends that visitors and locals alike, practice cycling and walking to keep the environment free of emissions, thus improving the existence of the Napa Valley. Bikes are available for rent at numerous lodgings and other rental companies. Just ask for a map and then you’ll be on your way! Though danger is not much of an issue in this area, it is still necessary to use precaution. When visiting Napa, it may be wise to park in tow free zones and keep your car keys on your person at all times. If it is a must that you should travel with money, try to budget prior to leaving your lodge and never display money in public. When walking at nights, it is ideal to walk on well lit streets, keeping away from any alley or dark areas. Apart from all that, just go and have all the fun you deserve! 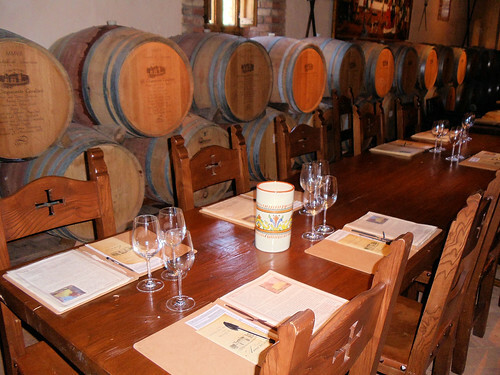 Browse & book tickets in advance for Napa Valley activities & tours! Napa experiences a dry Mediterranean climate all year round, with an average temperature of 21C. This is the major contributing factor to the flourishing of their grapes. Unlike most cities, towns or states in North America, Napa Valley’s winters are filled with nothing but a few cool rains and bright yellow mustards springing around the grape vines. Summer and spring are nothing but vivacious floristry amongst the golden hills; evenings in Summer are often cool too! And of course, Fall is the most popular time of year at Napa Valley as the bright gold and green grapes begin to pop out and oh yes, the smell of ”Crush” lurks in the air. Napa Valley is home to quite a number of major festivities in California, and the US at large. Most of the major events are annual features, which are hosted mainly during the late Summer through to Fall. Nonetheless, there are a lot of occasions all year round, so you will never run out of options on your visits. Here are some popular events you may want to check out! This event is held from March to November and offers tourists and residents the opportunity to dine in fine style and sip on the best of the Napa wineries. To top it off, you are even enlightened with the rich history of Napa Valley’s agricultural growth. For sure you won’t only be leaving with a full tummy, but also a brain full of knowledge! 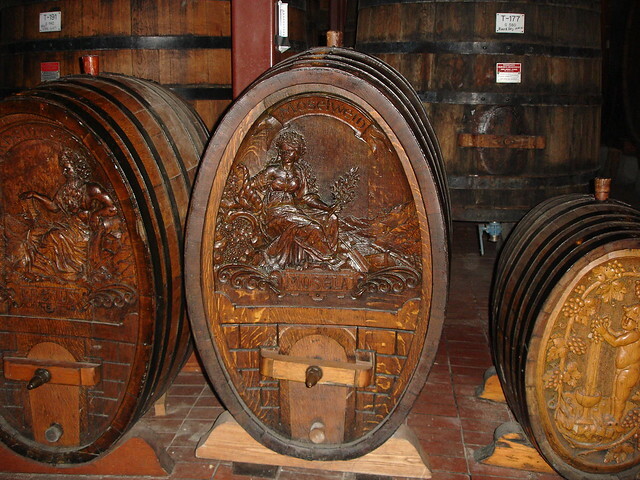 If you wish to know more on this event, visit http://www.epicureanexcursions.com or contact 800-979-3370. The Calistoga Farmers Market is an ongoing event, which happens on each and every Saturday of the year. From 9am, the local farmers or food purveyors set up their booths to showcase the very best of fresh produce for sale. Not to worry about seeing just food, there’s live music and a diversity of artisans and crafters present too if you’re looking for more. PEJU Grape Stomp is one of those must attend events of Napa Valley. Whether you’re with a friend, your spouse, family or on a solo par, head to the HB Vineyard to join in on the action of stomping grapes with your feet. There are also live competitions for best costumes and prizes for teams with T-shirts. Here, you also get to indulge in some of the finest cheese and delectable cuisine from the Peju Kitchen. Gates open at 10am! Angwin is one of Napa Valley’s nine towns, which is decked right under the peak of the Howell Mountain, hence why it is often referred to as “The Gateway to Howell Mountain.” It is the home to some of Napa’s best wineries and offers the perfect trails for an adventurous hike or stroll in the hills, with a breath-taking view of lush forestry. If you have never travelled on an aerial tram before, then visiting Sterling Vineyards will grant you that awesome experience. Travel to the grounds via aerial tram to have a self-paced tour of the entire vineyard, so no rush. The tour also includes a winemaker’s video tour and during all the fun, you are allowed to do some tasting yourself. Discover the life of a vintner at the newly renovated Atkinson house, or more popularly called St. Supery Vineyard. It is open to the public on appointments and boasts a living museum on site. Napa sits at Napa Valley’s south end and is a world class host of numerous attractions for that region. It is home to the Michael Mondavi Family Estate and Domaine Carneros wineries. There are also hotels and exquisite restaurants decked all over to suit the needs of visitors. Oakville is a legendary wine territory in Napa Valley. Over a century of progress, Oakville has transformed to become the heartbeat of Cabernet lovers. It produces the best grapes for the Robert Mondavi, Plumbjack, Groth, Folie a Deux and Opus One wineries, which are all situated here. If you wish to enjoy some cool breeze from off the bay while cycling, then American Canyon is just that place. Its rolling hills are the home for the legendary Carneros wine-growing region, where you may enjoy sipping on fine wines!